Thursday was day 4 of Gingerbread Week! We did The Gingerbread Cowboy which was actually a gift from the Arizona governor a few years ago when I taught out there in the desert...random fact, I know. The kids just can't get enough of gingerbread week! One kid asked if he could bring his gingerbread train to share as a snack. Sure! I love that idea! Why not?! 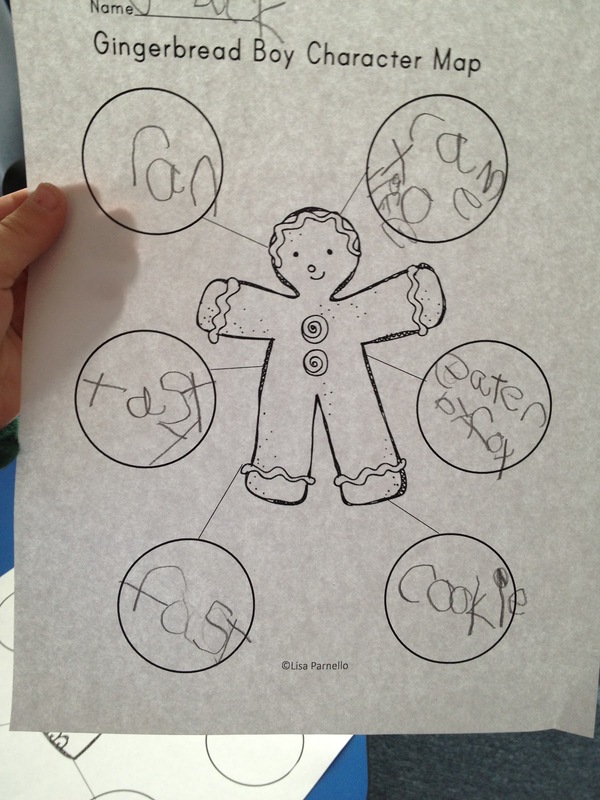 Next we made a chart to compare the different features of each gingerbread story (who made him, what was used to decorate him, who chased him, and who ate him/her if anyone). The other day I posted this freebie, but not the craft that went with it. So here is a pic of our project, plus a repost of my gingerbread freebies this week in case you missed them. Here is the *freebie* shapes/counting page that went with it. I also posted this little goodie on Monday if you missed it. 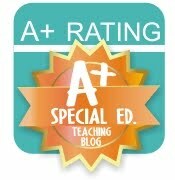 It works for K-2 and all my students benefited from it, even the older ones. If you'd like the rest of my kinder gingerbread stuff, you can find it in my TPT store. 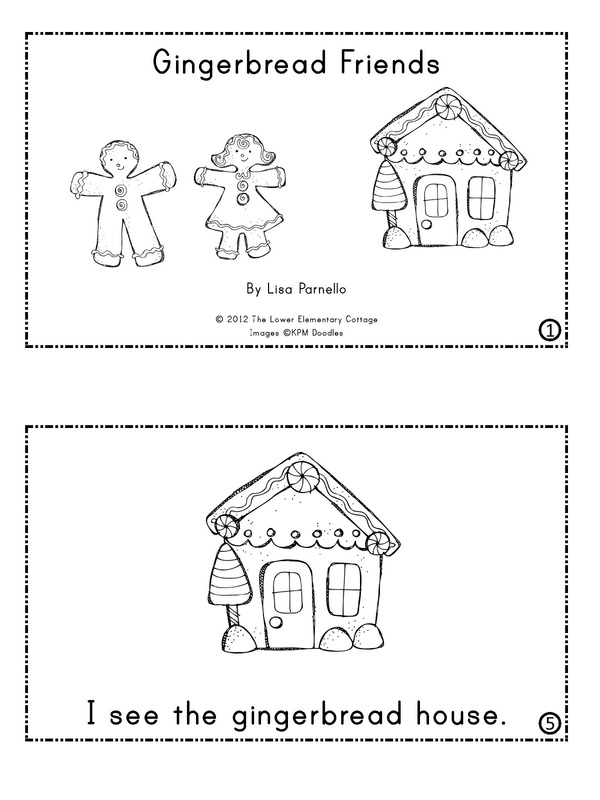 It has 2 emergent readers, 2 matching sequencing activities, 2 character maps (gingerbread and fox), and a coloring/following directions page. My extra little tidbit of the day was teaching capacity. 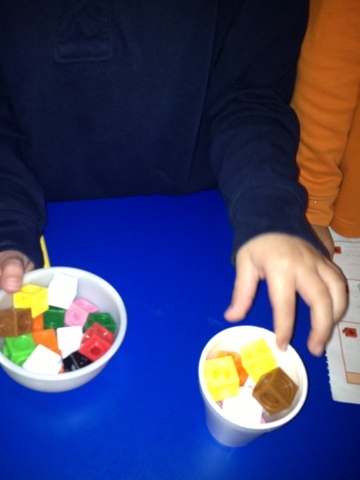 My little guys were given 1 cube and asked to predict how many of them it would take to fill up various measuring cups, and real cups. I even stole a cup from a kid's lunch box so I'd have a big one to use for the activity. Hehehe. He loved using his own cup. My kids were rocking the academic vocabulary! Estimate, measure, compare... They got it! Yay! I love kindergarten sponges! They learn everything! 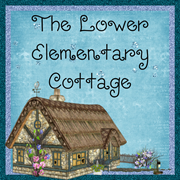 PS~ Thank you to all of you who made my TPT store a big success during the big sale! I'm almost to 100 TPT store followers! Today's book was The Gingerbread Baby by Jan Brett. The kids loved it, and started to see the pattern of the story having little "windows" in the margins to see what else is happening in the background of the story, such as the boy making the gingerbread house. 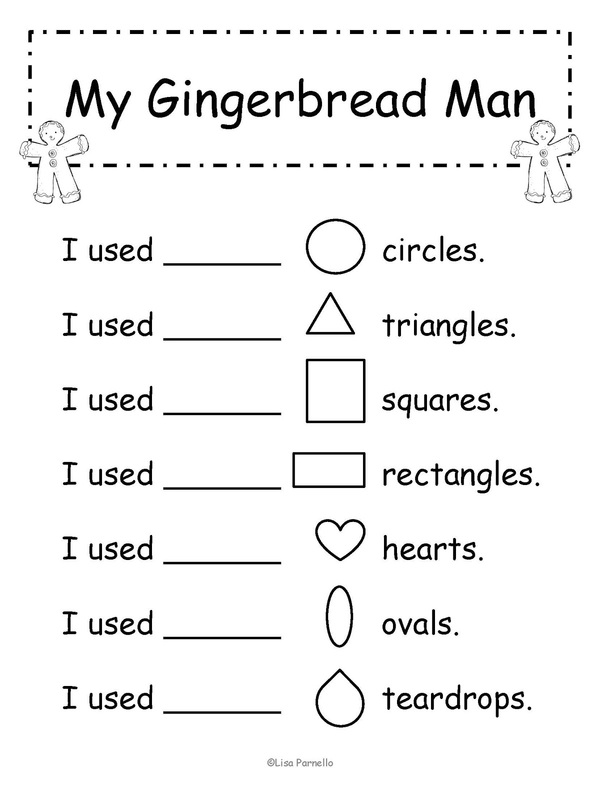 When we were finished the kids read my emergent reader "Gingerbread Friends" and the corresponding sequencing activity. I love that they are getting to be such great emergent readers that I can walk away and get something else ready while they read together. 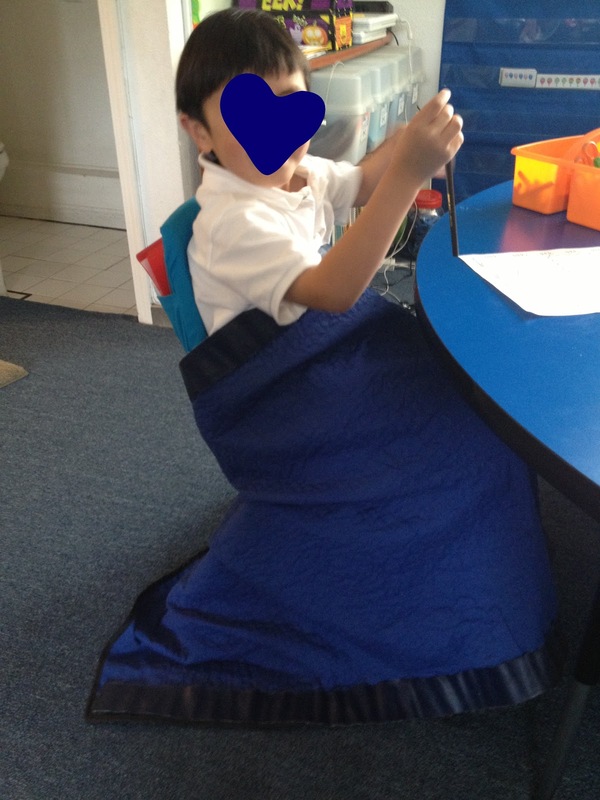 So much progress since the first day of school when the youngest ones couldn't read a single word! 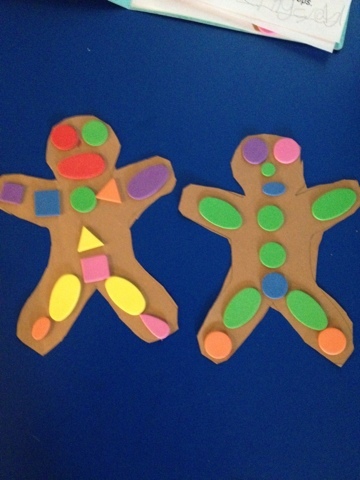 Next we made our own gingerbread man out of construction paper and foam shapes (squares, circles, ovals, etc.). The kids traced the gingerbread outline onto brown construction paper, then cut it out. Next they put on foam shape stickers to give it a face, feet, etc. I saw this on Pinterest, but I couldn't find the printable, so I made one! 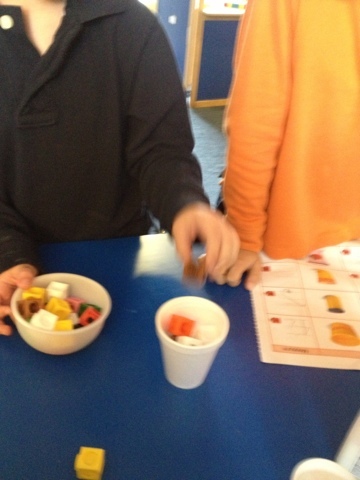 When the kids were done, they had to count each shape and label write the number on the correct line. If you don't have foam shapes, you can draw the shapes on the board as examples, then have the students draw them with crayons or markers. I'll take pics of ours tomorrow. I was rushing out the door today. You can download the freebie below! For those nice enough to nominate me for a Liebster... I got nominated 4 times I think, maybe even 5 ;) I'll work on answering more of your questions this weekend! It's nice to have so many people think of me for the nomination! Gingerbread Boy Activities in Action! Cyber Sale Thanks! The Gingerbread Boy was the story of the day! My favorite kid quote: "So if the fox ate the Gingerbread Boy, does that mean he's going to poop him out too?!" Despite the giggling, I'm fairly certain that little 5 year old was completely serious because he seemed a little annoyed that I didn't answer him. Too funny. There were lots of giggles! We are doing some serious book work with the Gingerbread books. There are several books and several fabulous concepts to pull from them. We will do one book a day, along with my mini unit of related gingerbread activities. 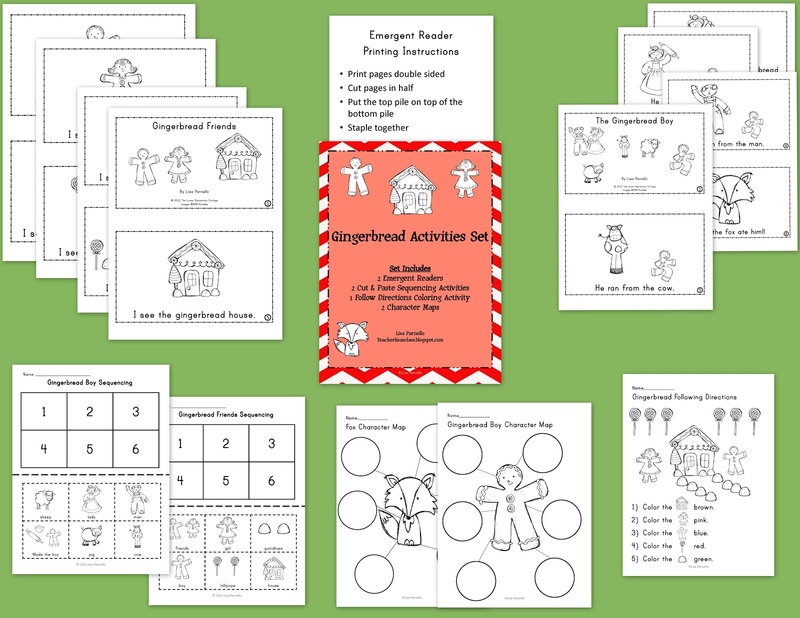 Yesterday I posted my brand new Gingerbread set of emergent readers and sequencing activities. They were all a huge success!! 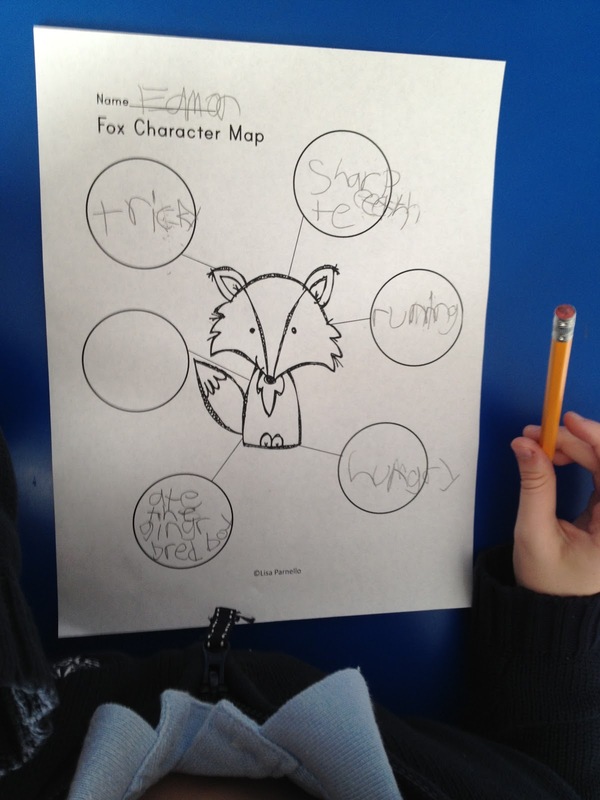 I was shocked at how well the kids figured out the character maps because we've never used them before. The kids instantly understood and I hear them using words like "describe" in context without prompting. I might have done a little skip and a jump in cheer! 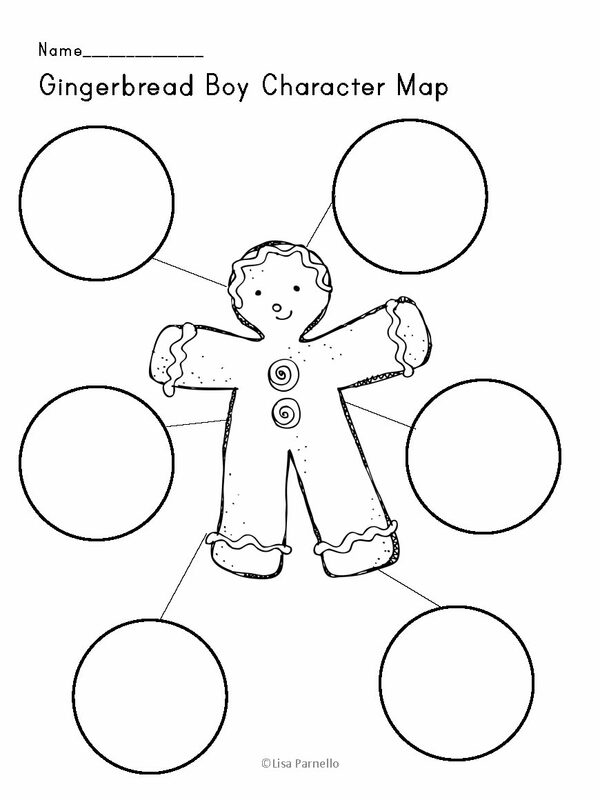 You can pick up the Gingerbread activities here! The kids were also super excited to see the author of their emergent reader was me! They felt like the most special kids in the world when I told them I wrote a book just for them. I really like how well it worked and I am able to implement the sight words I want to go with our themes/reading units each week. I think I may be writing a lot more of them soon! I see a Santa book coming very soon. Is there a theme or set of sight words you'd love to see in an emergent reader? Just let me know! I had a lot of fun making these books! Below are pics of our character maps (located in the gingerbread pack), or yesterday's post for the free gingerbread boy. 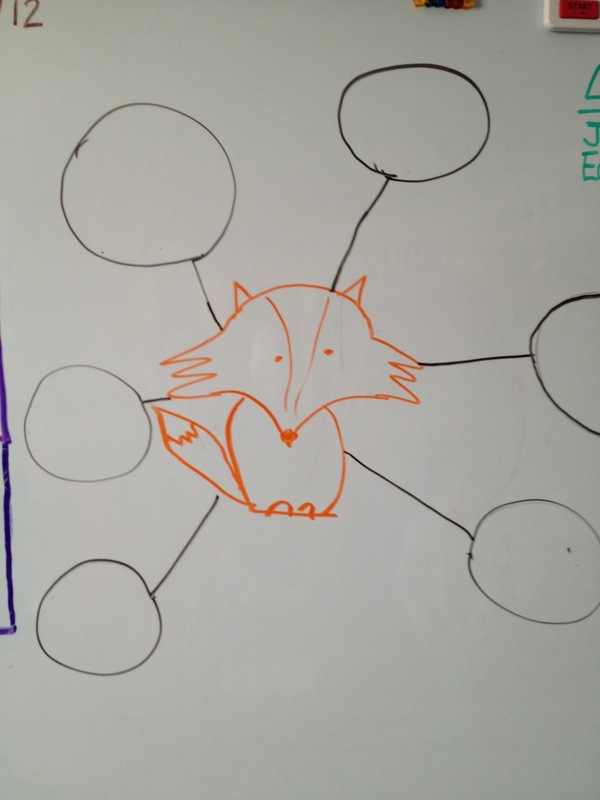 My fox on the whiteboard, not too shabby! Tuesday is the last day for the big sale! Don't forget to enter the code CMT12 for the extra 10% off on top of my 20% discount on everything! My 30% Off Sale Starts Now! I bought a Cameo to Prepare! With all these fabulous blog sales happening, I had visions of excessive amounts of cutting in my future. 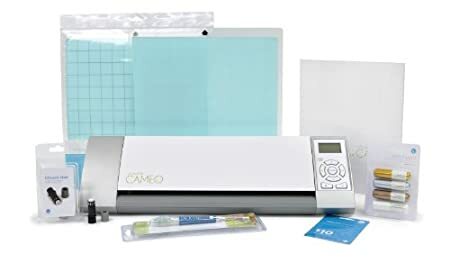 My hands were starting to have nightmares... even my best squishy handled scissors are no match for the amount of holiday centers I'll be laminating this month. So I realized Black Friday was the best time to take one last look at the Cameo prices, and whadaya know?! They are the cheapest ever!! So I bought one on Amazon and thanks to Prime, it will be here on Tuesday! Now what you've all been waiting for...My biggest sale ever!! Everything in my TN Shop is 30% OFF!!! Added bonus: TN is chipping in an extra 10% off on top of that! Ok, I teach kindergarten so I'm not swearing by this number, but I'm pretty sure it works out to 37% off everything in my store (their discount is applied to my reduced prices). Just click the image below to go directly to my shop! 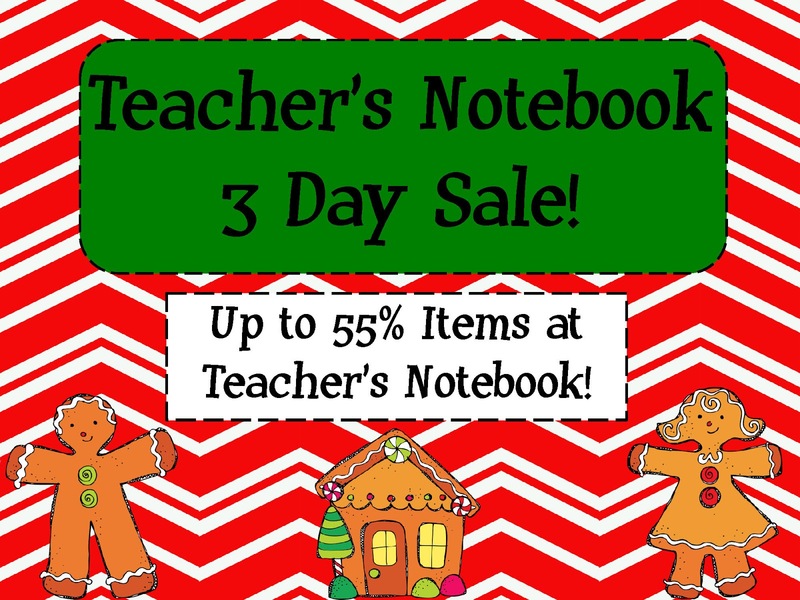 I made this banner using graphics from KPM Doodles, just one of many amazing shops on Teachers Notebook! 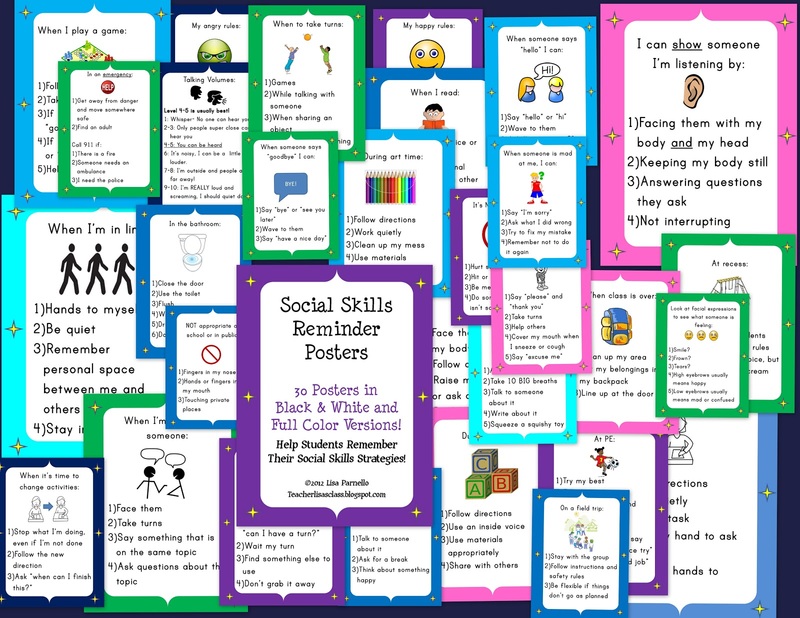 Social Skills Reminder Posters! Full Color and Black & White included for 30 different posters! That makes 60 in all! Beginning Money Centers! 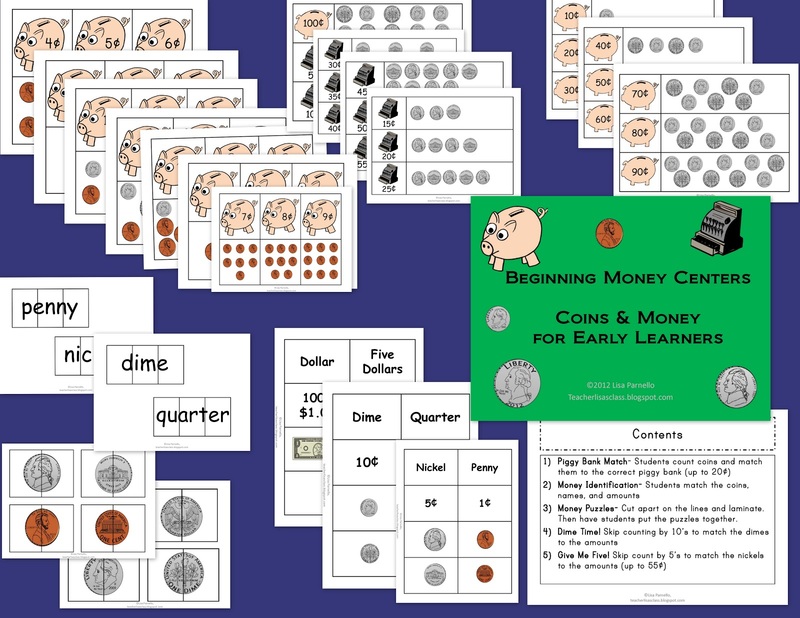 Great way to start learning money for K-1, or review for 2nd grade. Kindergarten and 1st Grade Common Core Math Records. These have always been a big hit! They are available for K-3 in Math, and K-2 in Language Arts. These are checklists of all the Common Core standards written in easy-to-read "I can..." statements. Great for showing parents what the kids can do. I like to use them each quarter to show progress over time. 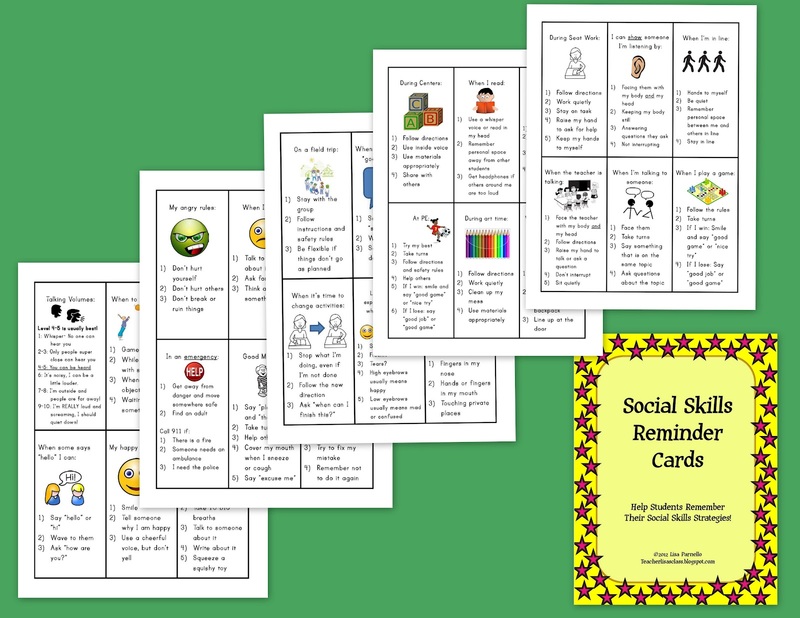 Social Skills Reminder Cards: These are a mini version of my new posters. They can be used individually or placed on a ring for students to keep on their desk. Do you prefer to shop on TPT? All of these items will be on sale in my TPT store starting Monday. Be warned, my discount drops to 20% off if you wait until Monday! Shop early to save more! Click the image below to go straight to my TPT store. 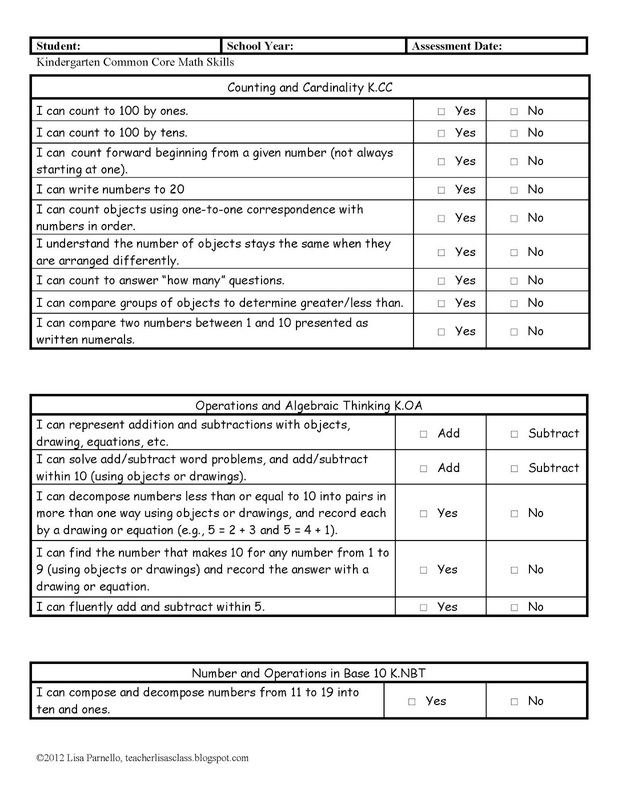 Updated Kindergarten & First Grade Common Core Math Checklist! Liebster Award! I got a super sweet message from a parent this Thanksgiving! A student's mom sent me a message telling me how thankful she is that her son has such a wonderful teacher! Love it! 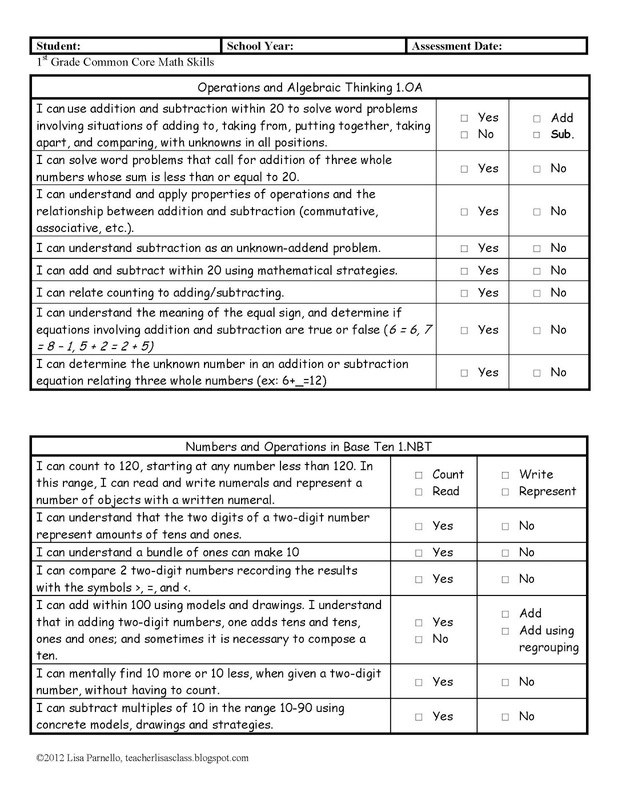 I just updated my Kindergarten and First Grade Common Core Math Records! They now include both the original simplified checklist and the new, super detailed checklist! Now these look just like the 2nd and 3rd grade checklists I have posted in my store. These checklists have been my biggest sellers by far and I wanted to make sure you had my best quality products. If you have purchased either of these items, please download the improved (super awesome!) version now! While I love the simplicity of my original version for myself, I know some customers wanted to see a more detailed checklist. These were my very first products I ever posted on TPT. 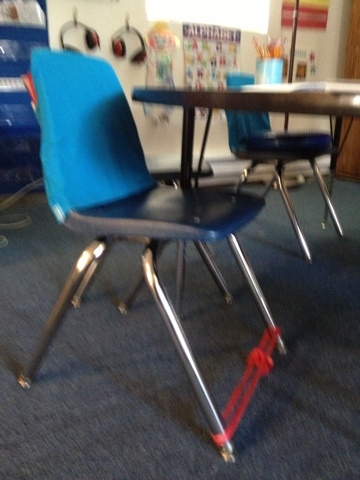 I never thought people would actually buy the things I was already using in my classroom! Since then, I've learned a lot about making quality work that everyone can appreciate. These changes were made based on your wonderful feedback and patience while I was learning the ropes of being a TPT seller. I have amazing followers! You guys rock!! If you would like to buy these, you may want to add them to your wishlist now, and buy them during the super sales! Saturday-Monday everything in my shop will be 30% OFF plus an additional 10% off by TN! Cyber Monday-Tuesday Sale! Everything in my store will be 20% off plus an additional 10% with the promo code CMT12. I got nominated for of Leibster Award by Mrs. Leeby! How fun! The Liebster Award is given by bloggers to up and coming bloggers who have less than 200 followers. It is to show new bloggers that they are appreciated and to help spread the word about new blogs. 2. I make yummy homemade pasta! 4. I've become obsessed with blogging! 8. I do CrossFit and I can deadlift 190 lbs! 9. I'm obsessed with Criminal Minds and other killer mystery shows. 11. I crochet scarves on cold winter days. Nope. I played the flute in fourth grade and wasn't very good. Ireland! Mexico! In the US: Hawaii, Florida, Oregon, Arizona, Seattle, Georgia, Chicago, Colorado (and I'm sure I'm forgetting a few). 3. What is your favorite thing to cook or your favorite recipe? Italian! I love cooking pasta from scratch including tortellini and ravioli (all by hand, a pasta maker is on my Xmas wishlist!). I also love to bake! 5. What's your zodiac sign? 6. Camping or hotel on a beautiful summer weekend? Both! I really like camping, but sometimes a relaxing hotel weekend is just the ticket! 7. Most embarrasing blogging moment? The obsurd number of typos I've made! 10. Real or fake Christmas tree? 11. Is bloggging taking over all of your free time? Yep! But I'm balancing it out with Book Club taking over the rest. 3. Best thing you've learned since becoming a blogger? 5. Who was your favorite teacher? 7. What music do you play to put you in a good mood? 8. Who was your first roommate? 9. Did you leave your home state to go to college? How far did you go? 10. Favorite thing about being a teacher? 11. Favorite form of take-out food after a busy day?